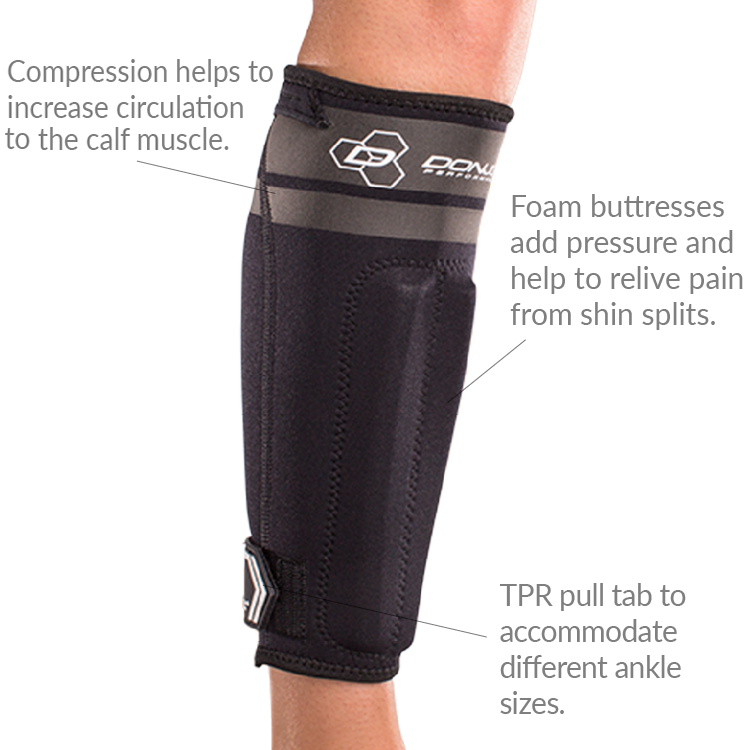 Is the AnaForm Shin Splint Sleeve right for me? Ideal for anyone experiencing shin splints or discomfort. Try our Brace Advisor for personalized product recommendations to meet your needs! 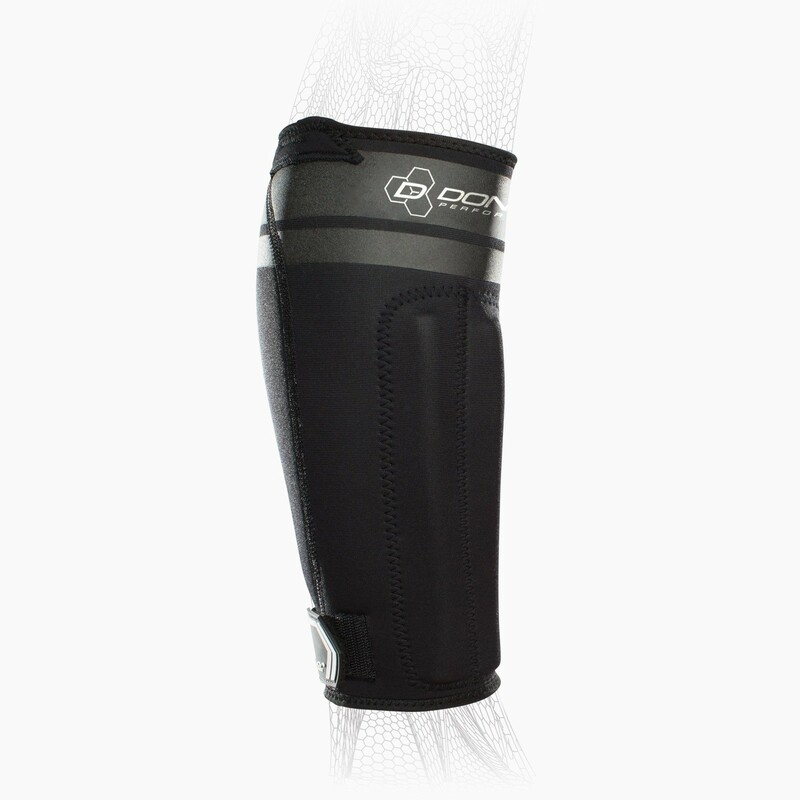 Our DONJOY Performance AnaForm Shin Splint Sleeve is the answer to help combat the pain caused by shin splints. An overuse injury, shin splints can linger and take a long time to heal. The neoprene sleeve with vertical foam buttress pads offers thermal compression and pain relief while stretch webbing ankle closure system allows for comfortable, secure fit. View all sleeves for shin splints. I have a girl that suffers with shin splints during every practice and every game. 1). How helpful could this sleeve be for her? 2). If helpful, can it be worn with no problems with shin guards? Thank you for contacting Better Braces. The Anaform Ship Splint Sleeve helps to put pressure on teh area of the shin where the muslce pulls on the bone causing stress. As there is the raised area on the front to put pressure on the area of pain it may interfere with the shin guards laying flat on her shin. Are these machine wash or what is the best way to clean them? Thanks! Thank you for contacting Better Braces. The AnaForm Shin Splint Sleeves should be hand washed with a mild detergent and air dried between uses. It is not recommended to put the braces in the wash machine. Can you wear one on each leg? Yes, you can wear the DonJoy Performance AnaForm Shin Splint Sleeve on each leg. Will the brace fit both the right and the left shin? And will I be able to run with it on? I'm recovering from a tibia stress fracture (lateral, internal, left leg). would this help protect the area (same as shin splints) or it's better to start the support from the ankle? this brace is going to provide compression over the area and it will cusion the area as well. I'm surfer from a "Anterolateral Shin Splints Injury". Can you tell which of your products will work best for this injury? I'm looking at Donjoy performance proform shin splint sleeve and the Donjoy shin splint support sleeve.. The Don Joy Proform shin splint sleeve will work well. It has two cylindrical foam pieces that provide compression on the anterior portion of the shin. Very impressed with results in even one day of use. I've been managing shin splints for over 3 weeks, resting, icing, massage, and rehab exercises with limited results. I bought this sleeve and after wearing for a full day already saw the first signs of major reduced swelling and pain relief. Have been wearing for 3 days and along with ice and rest have seen major improvement. I am very impressed and relieved I'll be getting back to basketball and my routine sooner rather than later! Completely alleviated all pain and issues I was having. Great product! The AnaForm Shin Splint Sleeve worked amazingly. Completely erased all of my pain from shin splits. Pros: Easy to put on. Works well.